Our legacy Texas Home Health operations now make up the largest Texas-based home healthcare organization in the state that offers a full continuum of homecare including home health, hospice, and personal care services. We offer a wide range of post-acute services, with at least one service line in every county. Our legacy home health companies have a higher overall quality star rating in Texas than other top home healthcare providers in the state. With the acquisition of Accolade HomeCare and Hospice, Texas Home Health operations now serve more than 36,000 patients annually, referred by over 7,500 physician groups and 700 healthcare facilities in the state. Texas Home Health legacy operations have the highest overall CMS Quality Star Rating in the state among the top four home health providers. In addition, many of our home health offices have earned the Home Care Elite distinction and all legacy hospice agencies in Texas are CHAP-accredited and carry designations from the We Honor Veterans program. Texas Home Health operations serve all 254 counties in Texas. Our post-acute care offerings include health management services, home health (skilled nursing and rehabilitative therapies), hospice, medical home care (private duty), and/or personal care services (attendant care). Founded in 1969, Texas Home Health is the oldest major home health provider in Texas. Our regional brands include Accolade, Nurses Unlimited, Texas Home Health, and Texas Home Health Group, with a combined 125 years of experience. Texas Home Health has a joint venture home health business with Baylor Scott & White Health with nine locations in north and central Texas. We are also affiliated with other well-known community healthcare partners in Texas, including Austin Regional Clinic and Seton. Founded in 1969, Texas Home Health is the oldest major home health provider in Texas. Our regional brands include Accolade, Nurses Unlimited, Texas Home Health, and Texas Home Health Group, with a combined 88 years of experience. To learn more about services in your area, please call 1-800-834-3059. Texas Home Health operations are owned by AccentCare, Inc., a nationwide leader in post-acute healthcare as well as specialized care management prior to acute episodes. Its wide variety of innovative services ranges from personal, non-medical care to skilled nursing, rehabilitative therapies, hospice, private duty, and care management. Headquartered in Dallas, Texas, AccentCare has over 23,000 compassionate professionals in more than 190 locations across 14 states, serving over 17,000 physicians and 2,000 facilities, regionally branded as AccentCare, AccentCare of New York, Accolade, Alliance For Health, Doctors’ Choice, Guardian Home Health & Hospice, Nurses Unlimited, Sta-Home, and Texas Home Health. In addition, the company has over 30 regional strategic partnerships with insurance companies, physician groups, and major health systems, including joint ventures branded as AccentCare Asante Home Health, AccentCare UC San Diego Health at Home, AccentCare UCLA Health, and Texas Home Health Group, a home healthcare affiliate of Baylor Scott & White Health. AccentCare is committed to improving the quality of living for more than 97,000 individuals each year. 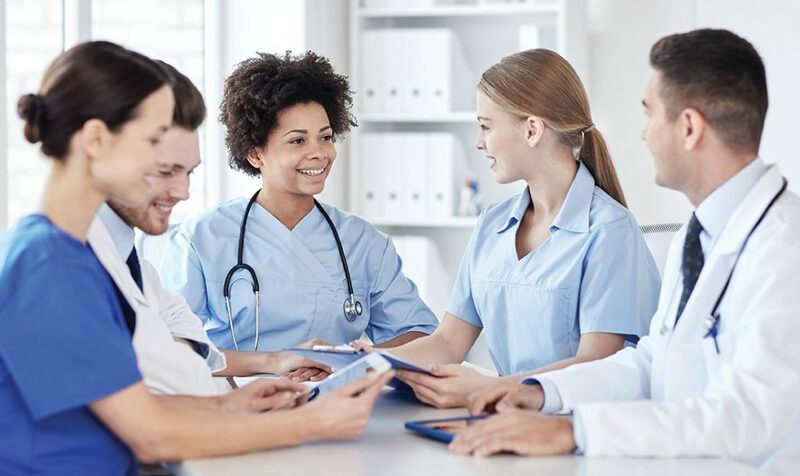 Its approach to care, including proprietary RightPath disease-specific programs, consistently exceeds the industry in avoidance of unplanned re-hospitalizations, faster starts of care, and quality performance. Among its distinctions, AccentCare has a 4.3-star quality rating for legacy home health agencies, many of which have earned the HomeCare Elite distinction. All legacy hospice locations are CHAP-accredited, many with advanced designations from the We Honor Veterans program.